I started going here years ago, and its one of the few places I trust to work on my car(s). I prefer them to the dealer and it is actually a faster / better customer service experience. Recognize that the price you pay here also covers - warranty, loaner vehicle (if coordinated ahead), and the additional service reports. Know that you can always refuse a service that you find to be overpriced before committing to it... but I prefer to come here over all the other places available. Thank you Tom! We are so grateful that you've taken the time to leave this review! Kyle and the rest of the Bimmer Rescue staff showed exemplary professionalism, very knowledgeable, and great customer service. This was the first time I had any type of service done to my Audi A6 outside of the dealership and I felt hesitant. Not anymore, Bimmer Rescue has definitely gained a new customer. Thank you so much, Conrad. We’re thrilled we had the opportunity to provide you with excellent service. See you next time! Thanks Laurence I appreciate the review, see you soon!! Fantastic shop, great people, and extremely qualified techs. Honest shop that will tell you exactly what you need and what can wait. Would definitely recommend to everyone. Slightly more expensive than the dealership but you get a much greater quality of work from their certified techs. I brought my 328i and my gf’s X1 in for vehicle checkups and required service light on. Thanks for the glowing review, Nelson! We appreciate you and look forward to seeing you at the next service. I am fairly new to Richmond and was looking for a quality BMW service provider on Google when I came across Bimmer Rescue. I am particular about who works on my vehicles and in this case my son's M3. There is a lot of trust in experience with high performance vehicles, having the knowledge to understand common issues and the knowledge to resolve them. I put my trust in Bimmer Rescue and they didn't disappoint. They are very thorough, they understand your vehicle and they don't give it back until it is right. Not to mention the excellent customer service...thank you Kyle, Patrick and Mike. Kyle kept me informed along the 4 week or so journey of restoring the M3 back to health. The mechanic did a great job diagnosing the vehicle and correcting the issues. There is a noticeable difference in the performance and driveability. Thank you Bimmer Rescue, I will recommend your services to anyone that needs them! Thank you Todd!!!! We really appreciate you writing about your experience with us! Top notch all the way around! I dealt mostly w/Kyle, but everyone I talked to was extremely courteous and Kyle was the best service advisor I’ve ever dealt with. Their shop is tucked back a little off of the “main drag”, but customer area is super clean, comfortable, and even has a section for kids. I took my X3 in for some warning lights and as part of their diagnostic check they went through the entire vehicle documenting anything they saw. They even sent me a comprehensive report that ranked everything with pictures! They diagnosed the problem and fixed it with no issue, but I also loved that they told me all the little maintenance things that would come up so I could plan ahead. It wasn’t a shell game at all, it was educational and all stuff that’s pretty expected from these wonderful cars. Do not take your bimmer anywhere but here!! Thanks for coming in to see us, Mack! We appreciate you and look forward to seeing you next time. My experience at Bimmer Rescue was excellent. I brought in my Audi A4, with issues I had with oil consumption. They did a very detailed report, gave recommendations, and are very knowledgeable and professional. Friendly and helpful staff. I will definitely be recommending them to others, and continuing to use them. Thank you Barret, we really appreciate the review! We are always here to help you and we'll do the same for anyone you send our way! Amazing door-to-door service from Patrick and the rest of the crew at Bimmer Rescue. I stalled in Midlothian, VA on my way down to Florida and had my BMW towed to the nearest BMW service shop. BMW couldn't fixed the issue so that I looked for other resources while out of town. I found Bimmer Rescue because of their exceptional ratings and raving reviews so that I gave them a try. From the moment I first called to the day I picked up my car, customer service is top notch. They are very responsive via text, phone calls and made sure I am aware of what's being done to my car. They were able to find the problem that's causing the drivetrain malfunction on my Bimmer and fixed it for less than half of the cost BMW service repair was going to charge me for. Patrick also picked me up at the airport to their shop on the day I picked up my car. Thank you again for the quality work and service! More than 5 stars all the way!! Thank you so much for your heartfelt review! You rock! Got my brakes replaced and an oil change with no problems what so ever. Used one of their loaner vehicles with no issues. Straight up and honestly run shop which is hard to find these days. Highly recommended! Thanks for the review Casey! I'm glad you liked our style and got good use from the loaner fleet! Always a great experience! Everyone is awesome to work with. I will always get me car serviced here. Thank you taking the time to leave us a review, we really appreciate it! We’re glad to be 'Your Shop' see you next time! Thanks for the review Donn!! I’m glad you came our way, we’re always here to help! Great staff that invests in the local community. Can't wait for the next event. Mike, we were so happy to have you come to the art show Thursday!!! We have some exciting plans up our sleeves for the spring... Keep an eye on our facebook for an invite! Bimmer Rescue is extremely thorough, and you know the job will be done correctly at this shop. Can't recommend enough if you care about your BMW. Thank you so much Willis, we really appreciate this review!!! 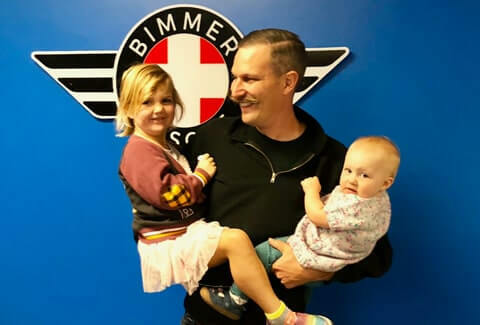 I have entrusted my vehicles to Bimmer Rescue for several years now and as always, I get top notch service and they fix it right the first time. I am a business owner myself and always try to support other small businesses. Give them a try, you will be pleasantly surprised. Thank you Steven, we really appreciate you taking the time to leave this review. We're always here to help!!! Bring us over some cards, we have a RVA local business section in our office, we're happy to support your business as well. Thanks Greg! I'm glad that you enjoyed our service, it's sad that the list was too long to justify keeping your car, but i'm glad you didn't put money into a sinking ship! When you find the perfect car for yourself bring it over for a Pre-Purchase Inspection so you can buy with confidence, we're always ready to help. BMW Specialists with a sense of truth i havent seen before...mine wasnt worth trying to fix but i got honesty, not shafted...thanks guys! Thank you Edward, it's rare that a car isn't worth fixing, but we think you made the right choice with this car. Good luck with your trade in, consider us for a Pre-Purchase Inspection of your next vehicle so we can help you make sure you get a winner!!! The folks over at Bimmer Rescue are the best! They offer professional and courteous service every time. Glad I learned about this repair shop as an alternative. Highly recommended. Thank you for your service. Thanks Janice! I appreciate this review. I'm glad you like our shop, we're always here to help, see you at the next service! Giving back to the community is something that feel is extremely important! Welcome to Bimmer Rescue, the premier auto repair shop for drivers who live near and around Richmond, Short Pump, The West End, and The Fan District. 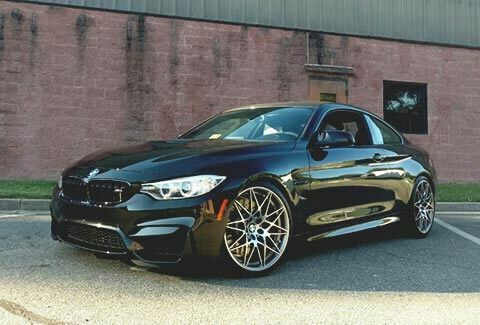 Our team of highly qualified auto mechanics and customer service advisors specialize in BMW, MINI, and Audi because these are cars that we have passion for and training in. 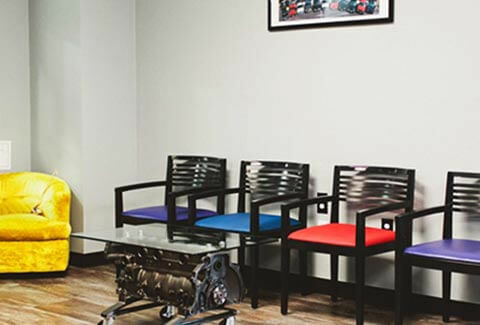 When you enter our state-of-the-art facility, you will see art, hear jazz music, and notice our atmosphere is infused with a genuine warmth and comfortable feeling. Your experience with us will truly be one-of-a-kind. We understand that clients can choose from many auto repair shops in our area. The team at Bimmer Rescue is truly honored to be picked time and time again by families throughout the communities of Richmond, Short Pump, The West End, and The Fan District. • We stand behind the quality and reliability of our work 100%. That’s why we provide a nationwide 3-year/36,000-mile warranty on most auto repairs performed by our auto mechanics. • All of our auto mechanics are Masters with at least 10 years experience. • We offer loaner car, Uber, or shuttle. Owner of Bimmer Rescue, Patrick McHugh, will personally drive customers so he can get to know them. • We use the most current tools, equipment, and diagnostic systems in the auto repair industry. • Brakes for Breast is an annual event in November. During that month, we wear pink shirts in the shop. If you need brakes this month, you get free brake pads on your car. You just have to pay for the rotors, sensors, and the work. We donate 10% to the Cleveland Clinic, as they are searching for a cure. • Bimmer Rescue has art by local artists in the shop and has events to showcase and sell art. • Patrick McHugh is a certified Boy Scout Merit Badge Counselor and Bimmer Rescue does Boy Scout Merit Badges. Boy Scouts come into the shop and he teaches boys, ranging between 12-16, about basic maintenance and electronics of cars. • We do a complimentary digital inspection on each car. We don’t just want to get to know you, but we also want to get to know your car. Bimmer Rescue offers professional, high class service that can make your car last longer and run better. We use an organized, clean shop environment combined with sharp, well rounded technicians, factory service data, tools and equipment to bring you the best service possible.